When "Stratford" was born he only weighed 19#. A number of Whisper lambs weigh more at birth, including ewe lambs. It was his 90 day weight that got our attention. 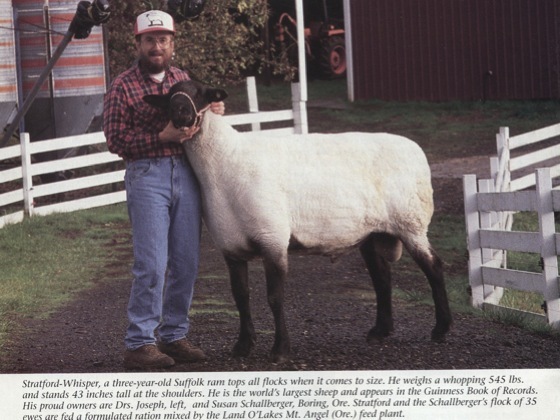 At 178# he far exceeded the 90 day weight of any lamb previously born at Whispering Hills Farm. He was sired by "The Boz" and his dam was a super milking Chinook daughter. He continued to grow and eventually surpassed the capacity of our 500# scale. Out of curiosity we checked the Guinness Record Book for the world’s largest sheep and found the record to be 472#. 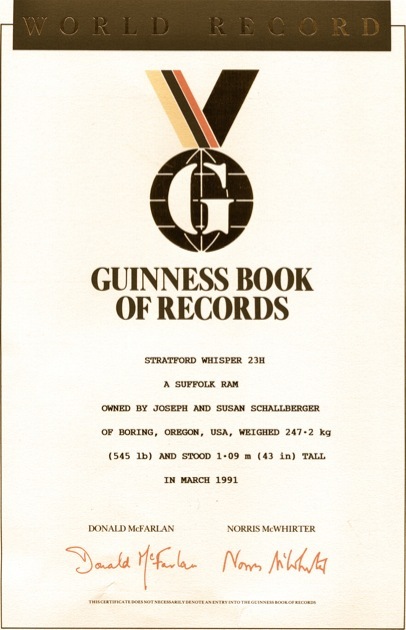 After checking the requirements to apply for a new record, we followed the protocol and "Stratford" was awarded the Largest Sheep in the World status by the Guinness Book of World Record in 1990 for his officially recorded weight of 545#. He eventually reached a weight of 628#. 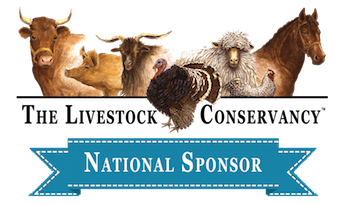 This achievement demonstrated our selection process in the pursuit of large & productive sheep. "Stratford" was one of a kind, but many Whisper rams will be in the 425-500 lb range and will produce fast growing lambs that are 150-190# at 4-5 months of age. The pedigrees of many Whisper sheep today closely match the genetic makeup of "Stratford".